With its recent and future improvements, DIRECTV NOW takes a leading position among the streaming services. DIRECTV NOW is a streaming source that’s gaining in popularity. That said, it’s up against some stiff competition from Hulu, PlayStation Vue, Sling TV, YouTube TV, and other streaming services. To stay competitive, DIRECTV NOW continues to roll out a serious of improvements and evolutions. These improvements are designed to make DIRECTV NOW more user-friendly, which keeps viewers happy. Here are some of the latest growth spurts in DIRECTV NOW’s evolution. Beginning September 1, all DIRECTV NOW-related discussions, questions, and answers will be in its new TV forums. This was announced Tuesday in a message to its support forums. This announcement is a first step in AT&T’s plan to bring DIRECTV satellite and DIRECTV NOW services under the same app. Making DVR available to all subscribers as part of the new app. More CBS channels to be added soon. Plans have been made to add 4K support in the near future. AT&T announced its plans to combine DIRECTV satellite and streaming services under the app in July. This new features offers 100 hours of DVR. Recorded programs are found in a new My Library area on the new DIRECTV NOW app. Recorded shows can be watched in My Library or swiped left to deleted. Recording is as easy as tapping a button. A “shows feature” function provides details about shows you might wish to record. DIRECTV NOW has supported Chromecast on Android since its November 28, 2016 launch. Like the rest of the streaming services, DIRECTV NOW is constantly evolving and upgrading. All of this week’s awesome improvements will be eclipsed by more and greater evolutions in the week’s to come. That’s the nature of streaming services. If you’re interested in DIRECTV NOW, Signal Connect has a great offer. You can get 60+ channels of this streaming-only service for as low as $35 per month. Your DIRECTV NOW password lets you authenticate more than 40 different streaming apps for the your ultimate on-demand experience. Best of all, there’s no annual contract. For more information or to sign up today, give us a call at 866-726-4182. With so many streaming options, do you even need a DVR anymore? Why can’t you get TV from other local markets? 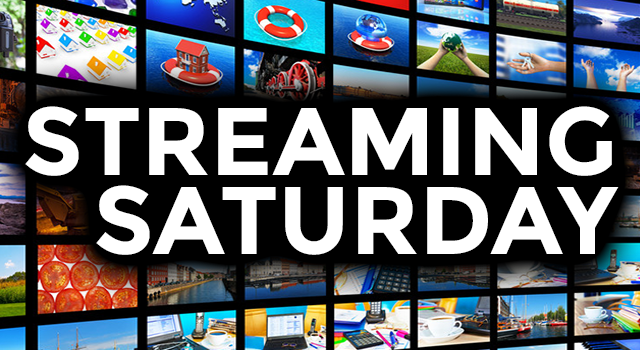 STREAMING SATURDAY: Summertime IS for Streaming!